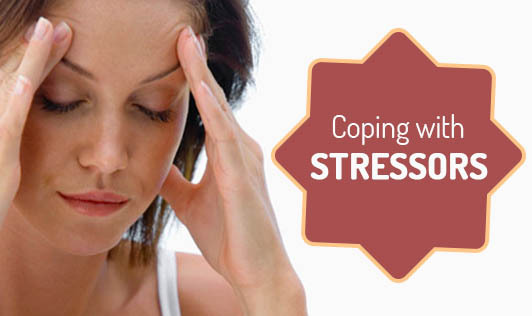 Stress management is the need of the hour. However hard we try to go beyond a stressful situation, life seems to find new ways of stressing us out and plaguing us with anxiety attacks. Moreover, be it our anxiety, mind-body exhaustion or our erring attitudes, we tend to overlook the causes of stress and the conditions triggered by those. In such unsettling moments, we often forget that stressors, if not escapable, are fairly manageable and treatable. Stress, either quick or constant, can induce risky body-mind disorders. Immediate disorders such as dizzy spells, anxiety attacks, tension, sleeplessness, nervousness, and muscle cramps can all result in chronic health problems. They may also affect our immune, cardiovascular, and nervous systems and lead individuals to habitual addictions, which are inter-linked with stress. Like stress reactions, relaxation responses and stress management techniques are some of the body`s important built-in response systems. As a relaxation response, the body tries to get back balance in its homeostasis. Some hormones released during the “fight or flight” situation prompt the body to replace the lost carbohydrates and fats, and restore the energy level. The knotted nerves tightened muscles, and the exhausted mind craves for relaxers. Unfortunately, nowadays, we do not get time for relaxation and are faced with having to deliberately create such situations or activities that help us relax. It is important to recognize whether you are under stress or out of it. Many times, even if we are under the influence of a stressful condition and our body reacts to it internally as well as externally, we fail to realize that we are reacting under stress. This also happens when the causes of stress are there, long enough for us to get habituated to them. The body constantly tries to tell us through symptoms such as rapid palpitation, dizzy spells, tight muscles, or various body aches that something is wrong. It is important to remain attentive to such symptoms and to learn to cope with the situations. We cope better with stressful situations when we encounter them voluntarily. In cases of relocation, promotion or layoff, trying out adventurous sports or having a baby, we tend to respond positively under stress. But, when we are compelled into such situations against our will or knowledge, more often than not, we wilt at the face of unknown and imagined threats. For instance, stress may mount when one is coerced into undertaking some work against one`s will. Emotional Stressors: Also known as internal stressors, they include fears and anxieties (such as worries about whether you'll be fired or whether you'll make a good impression on a blind date) as well as certain personality traits (such as perfectionism, pessimism, suspiciousness, or a sense of helplessness or lack of control over one's life) that can distort your thinking or your perceptions of others. These stressors are very individual. Family Stressors: These can include changes in your relationship with your significant other, financial problems, coping with an unruly adolescent, or experiencing empty-nest syndrome. Social Stressors: They arise in our interactions within our personal community. They can include dating, parties, and public speaking. They are also very individualized. Change Stressors: These are feelings of stress related to any important changes in our lives. This may include moving, getting a new job, moving in with a significant other, or having a baby. Chemical Stressors: They include drugs abuse, such as alcohol, nicotine, caffeine, or tranquilizers. Work Stressors: They are caused by the pressures of performing in the workplace (or in the home, if that is where you work). They may include tight deadlines, an unpredictable boss, or endless family demands. Decision Stressors: These involve stress caused by having to make important decisions, such as the choice of a career or a mate. Phobic Stressors: They are caused by situations you are extremely afraid of, such as flying in airplanes or being in tight spaces. Physical Stressors: They are situations that overtax your body, such as working long hours without sleep, depriving yourself of healthy food, or standing on your feet all day. They may also include pregnancy, premenstrual syndrome, or too much exercise. Disease Stressors: They are the byproducts of long- or short-term health problems. These may cause stress (say, by preventing you from being able to leave your bed), be triggered by stress (such as herpes flare-ups), or be aggravated by stress (such as migraine headaches). Pain Stressors: These can include acute pain or chronic pain. Like disease stressors, pain stressors can cause stress or be aggravated by stress. Environmental Stressors: These include noise, pollution, a lack of space, too much heat, or too much cold. Using the above list as a reference, you can determine the main stressors in your life. You may even find that some of your stressors fall into more than one of these categories. Go back through your list of stressors and mark an E for each item you can eliminate, an R for each stressor you can reduce the strength of, and a C for each item you can learn to cope with. For the items marked with an E or an R, jot down any ideas you have on how to accomplish these goals. Now that you've identified and organized your stressors, it's time to start learning how to deal with them.